For three years now, the U.S. Internal Revenue Service has moved to deploy a massive dragnet to stop tax cheats from stashing cash offshore. The crackdown hinges on identifying every account held by every American anywhere in the world, no matter how small. Collect everything to nab and punish relatively few big law breakers. The IRS is doing this by coercing foreign financial institutions, and governments, to disclose where Americans hold their money, including bank and brokerage accounts, partnerships, mutual funds and the like. The problem with this approach – like destructive bottom-trawler fishing – is that it touches everything, including the millions of Americans who have lived outside of the United States for years and don’t owe the IRS anything because they reside in higher-tax countries, such as Canada. Suddenly, however, the IRS appears to be softening its stance with a promise to overhaul its voluntary disclosure, or amnesty, program. New IRS commissioner John Koskinen, a successful corporate and government troubleshooter, acknowledged in a speech last week that his agency has been fixated on tax cheats, with too little regard for “non-willful” victims of its crackdown. The IRS is now working on creating a path specifically for otherwise honest people who want to comply with their U.S. tax obligations, without using the hammer of steep penalties designed primarily to punish U.S. residents trying to duck their taxes, Mr. Koskinen said. Geography and history means Canada is home to more expat Americans than any other country – as many as a million. Tax experts say this is good news for an untold number of people in Canada who continue to stay in the shadows, not filing tax returns, as required by U.S. law. Mr. Koskinen’s motives may not be entirely altruistic. The promise to create an easier amnesty program comes just weeks before the Foreign Account Tax Compliance Act comes into effect July 1. The law, which Canada has agreed to help implement, is expected to create a flood of information for the IRS to sort through. Until now, Americans and dual Canadian-U.S. citizens faced a wrenching dilemma. 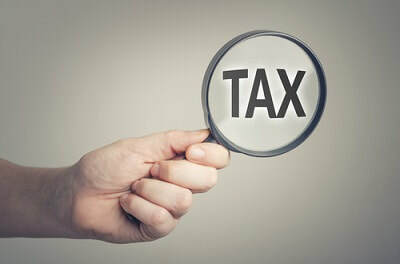 For individuals whose only transgression is a failure to file U.S. tax returns, compliance has meant years of complicated back taxes and onerous foreign account disclosures, the threat of steep penalties and up to tens of thousands of dollars in accounting fees. As a result, many people have chosen to stay in the shadows, afraid of the heavy and unpredictable financial burden of coming clean. Canadian tax experts say Mr. Koskinen’s change of tone will offer a way out. “It’s a ray of hope,” Mr. Nightingale said. “Giving people who weren’t trying to evade tax an easier way to comply is a great idea.” It’s the first bit of goods news in a while for a large group of Canadians who until now have felt targeted by their country of birth and abandoned by their country of choice.